After rediscovering Pee-Wee's Playhouse with my kids on Netflix recently, I've got to say my curiosity is peaked. 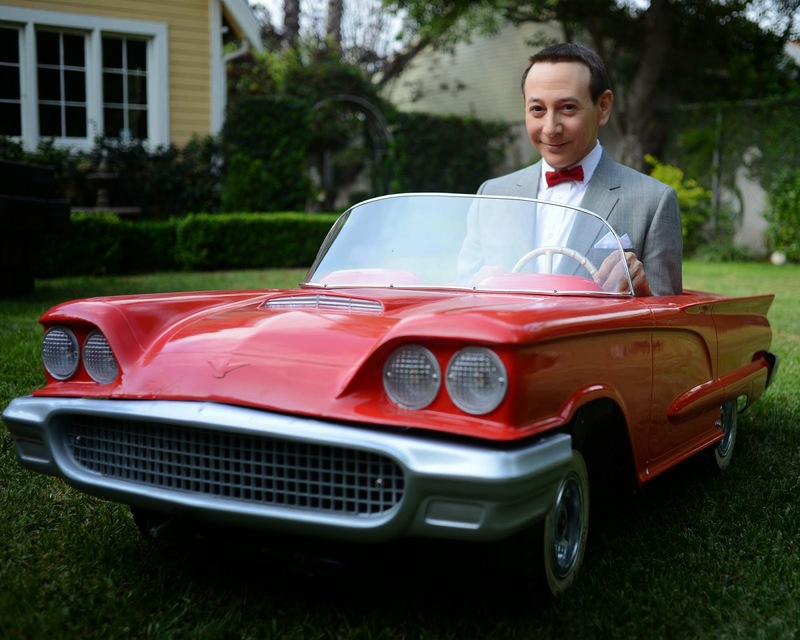 I enjoyed the show as a kid and loved Pee-Wee's Big Adventure, but can he still pull off the character at 62 years old!!! Aside from that, it appears his glorious bike has retired and he's found a couple nice substitutions for the new movie. 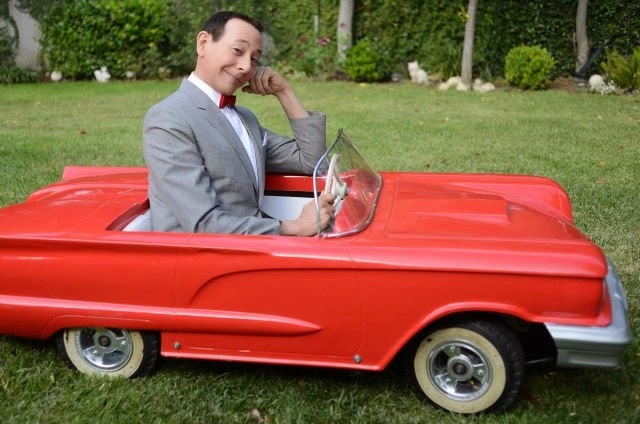 About a week ago, Pee-Wee posted pictures of his miniature car including one of him actually driving it. Days 1 – 5 are complete! I hitchhiked, got a few rides, then drove all over the place in my cool car. Spent the night in a haunted motel! Even did a movie stunt. Then my stuntman did it way better! 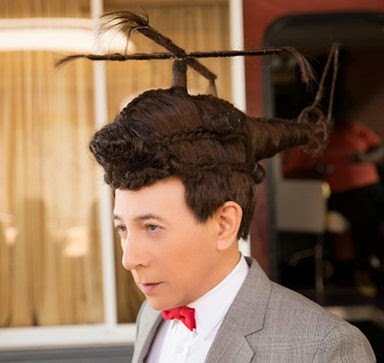 It also appears that Pee-Wee might also do some traveling the new movie using his "helicopter hair!" Yike! I guess he's taken a few pointers from Inspector Gadget's travel habits. I'll let you to come up with a joke after that statement, but I would like to get your opinions on the movie. Will you watch? Or should Pee-Wee permanently hangup the bow tie?